​Melody C. Miller is a cinematographer and creative storyteller who works to make a positive impact in the world by making narrative films and documentaries. Melody graduated from UCLA School of Theater, Film, and Television, concentrating in Cinematography and Documentary Production. She has won various film awards nationwide including The Motion Picture Association of America Award, Women in Film Award, and the Loreen Arbus Cinematography Award. ​Originally from Oakland, California, she spent the early years of her life learning the French culture then moved to the Mediterranean for 4 years which started the roots of her filmmaking career. ​Melody released her first feature documentary California's Forgotten Children, following the stories of six survivors of child trafficking and their path to freedom. The film won Best Documentary at the Soho International Film Festival 2018 and has been changing lives at numerous notable film festivals around the world. It was honored and screened at the United State of Women Summit, the same event where Michelle Obama was a guest speaker. By creating this documentary she brought together 100 strong artists and 20 organizations to join her in the fight to end trafficking. ​It is now making the rounds in law enforcement organizations, non-profits, and educational institutions across the globe to prevent these injustices from continuing. Her next feature is planned to release in 2019, about the legendary beat poet, ruth weiss, the beat goddess . ​In a life that has spanned 90 creative years, escaping the Nazis with her family in Vienna ruth became a Jazz troubadour exemplifying the zeitgeist of Chicago, New Orleans, and San Francisco. Known around the world, ruth weiss continues to this day to perform her poetry. Inspired by her work this documentary uses poetic imagery through dance, art, animation, and music to embody her oeuvre. ​An accomplished Cinematographer, having shot dozens of narrative films and documentary features including art noir film #WhereIsBeauty starring singer Goapele premiering at the Cannes Pan African Film Festival; sci-fi action TV series Dimensional Shift starring Terrell Tilford and Victoria Platt; human rights documentary Crowning Change premiering at the Dublin International Film Festival; documentary series On Common Ground about protecting national parks; and countless other films. She has respectfully worked as Director of Photography on projects across the U.S. and U.K. for the Elizabeth Taylor Trust. At 17, she edited What Happened Here? a feature documentary for Festival de Cannes winner Rob Nilsson that premiered at the Mill Valley, Tel Aviv, and Moscow Film Festivals. Her knowledge in editing stories makes her a masterful cinematographer because she is able to envision how shots will be edited together and give a variety of creative editorial options for editors and directors to sculpture their films from. Melody has directed and lensed commercial and virtual reality content for Samsung, Sony Pictures, and FACT TV among others. For the past 9 years, she has worked as Chief of Documentary and Commercial Production in China for InterLangua an educational institution helping children learn English. A skilled wildlife photographer, she has worked to save the wolves in California and adventured into the wilderness to find the endangered Red Panda in China. Her work can be seen in National Geographic's Your Shot photo community. 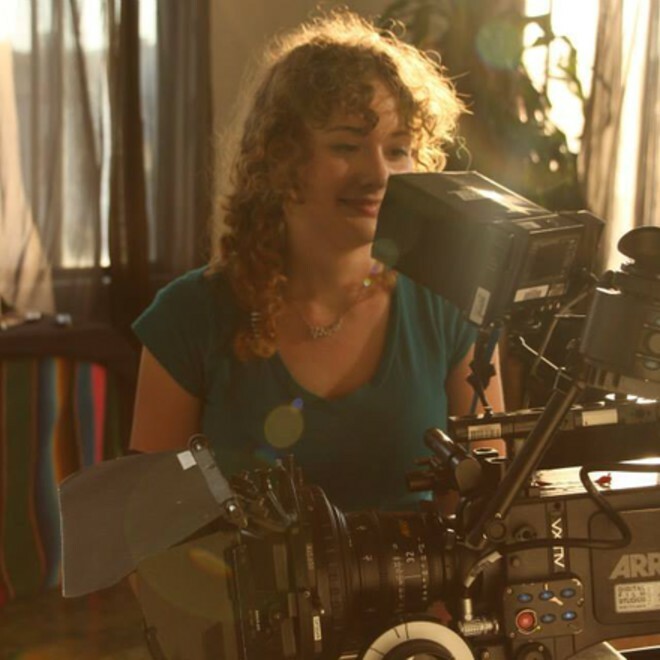 Melody is an accomplished leader and has experience working as a cinematographer with professional crews across the United States, China, and the United Kingdom. She is a member of the International Collective of Female Cinematographers, Film Fatales, Women In Film, and the International Documentary Association. She has also worked as a first assistant camera for CBS, ESPN, and NBC. She is PADI certified deep ocean advanced diver as well as a certified Small Aviation Camera Operator. Please fill out this form to best serve your needs.